All Johnson Ranch homes currently listed for sale in Bulverde as of 04/20/2019 are shown below. You can change the search criteria at any time by pressing the 'Change Search' button below. "MLS# 1369486 - Built by Highland Homes - May completion! ~ This beautiful 5 bedroom, 5.5 bath home is perfect for families and guests wanting their own privacy. With high ceilings and tall windows, this home has an abundance of natural light. 42 Maple cabinetry at the kitchen, granite countertops, gas cooktop and stainless steel appliances. Great for entertaining. Full sod and sprinkler, front landscape package and fencing. This home backs to open space. 3-car tandem garage." "MLS# 1369419 - Built by Highland Homes - May completion! ~ This beautiful two-story home shows with high ceilings and tall windows with an abundance of natural light. This design comes with two bedrooms on first level and three up. With gas cooktop, 42 Upgraded White cabinetry at kitchen and stainless steel appliances. Rheem Tankless water heater installed. 3-car tandem garage. Full sod and sprinkler, with front landscape package and fencing. Backs to greenbelt." 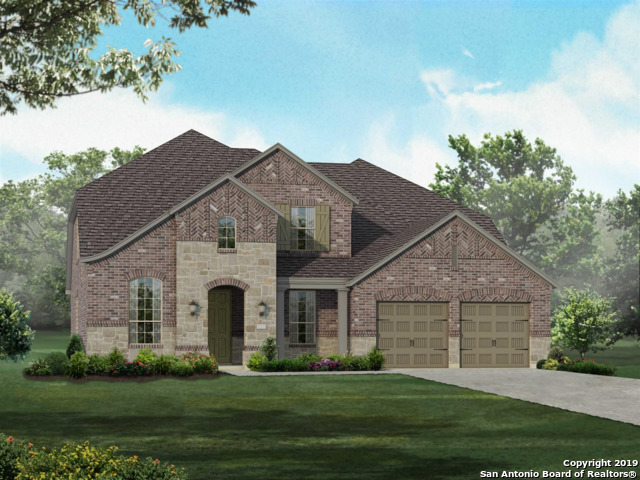 "MLS# 1357980 - Built by Highland Homes - April completion! 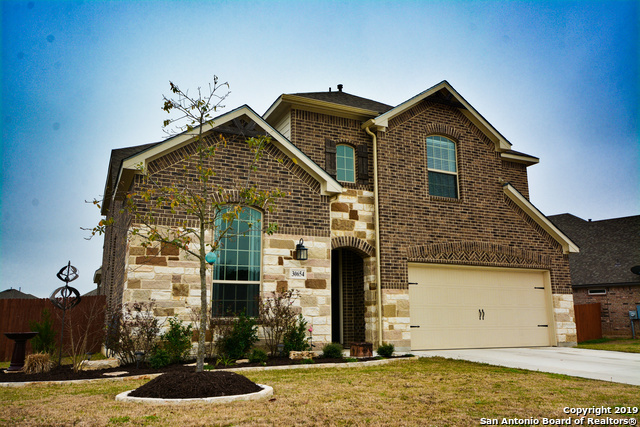 ~ This beautiful two-story, 5 bedroom home is spacious and great for entertaining. Relaxing on the covered front porch and rear patio will be a special treat. With two bedrooms on first level and three up, it is perfect for every family. Maple cabinetry, granite at kitchen, gas cooktop and stainless steel appliances. Full sod, sprinkler, front landscape pkg. and privacy fencing. Tankless water heaters and energy efficient!" 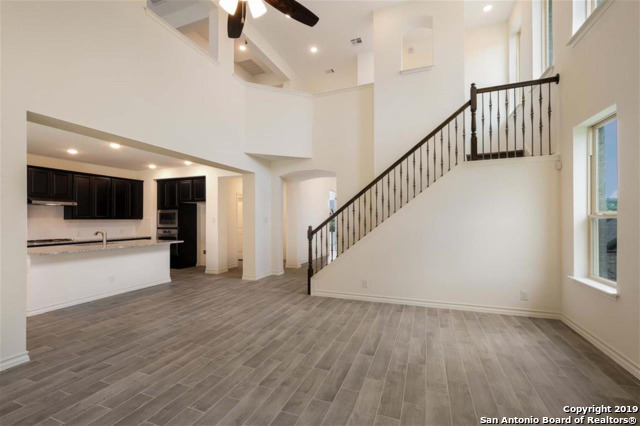 "Immaculate 2 Story 5 Bedroom/4 Baths in Johnson Ranch*Over $30k in upgrades:Wood flooring most of first level, Granite in Master bath, upgraded in kitchen with stone back splash*Great OPEN FLOOR PLAN**Large Island Kitchen with bar seating**Spacious Master Suite with sitting area*private bath with garden tub, walk in shower, double sinks and large walk in closet** SECOND BEDROOM DOWN STAIRS with full bathroom**Upstairs features game room, 3 Bedrooms and 2 Full baths*large landscaped lot*Covered b"
"MLS# 1330092 - Built by Highland Homes - CONST. COMPLETED Dec 28! ~ This beautiful two-story home with a 3-car tandem garage is great for entertaining friends and family. Two bedrooms, study, formal dining and large living space all on the first floor, with a game room and two bedrooms with bath on the second level. Granite at the kitchen, gas cooktop, 42 inch Maple cabinetry and stainless steel appliances. Full sod and sprinkler with privacy fencing. Energy efficient!"